I decided to design a collection of festive holly dresses for my Garden Fairy’s Wardrobe for Christmas and this of course meant planning ahead and gathering the holly in our Southern Hemisphere winter when the berries would be red. I don’t have a holly tree in my garden but there is one growing on the nature strip further up the hill. When I noticed there was a liberal smattering of red berries I armed myself with secateurs and a bag to gather some sprigs to design with. 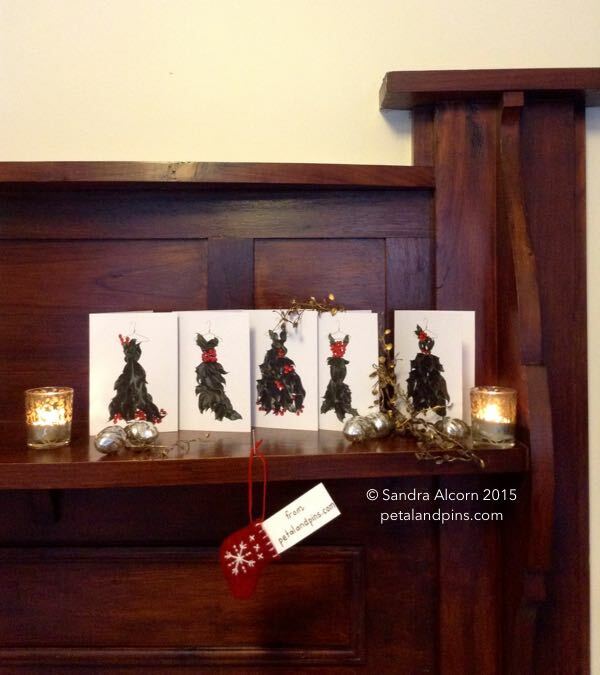 My Garden Fairy’s Wardrobe Christmas Collection consists of five holly dress cards with festive red envelopes and inspired by some of the classic fashion capitals of the world, a Christmas greeting in French, English and Italian is on the back. The inside is blank to write your own message. They can also be used to decorate the home, turning a mantelpiece into a garden fairy catwalk or strung on ribbon. 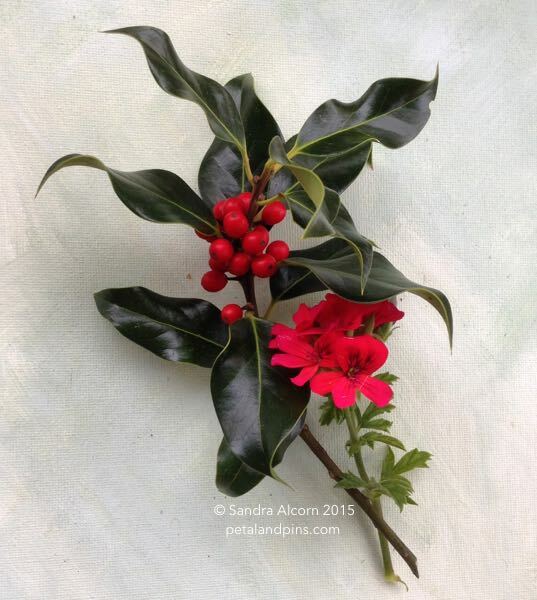 I must say holly is not the most hospitable plant to work with, the points of the leaves are so sharp – it must be a deft bird indeed who feasts on the berries but I think the results are quite stylish don’t you? AUS$25 a set (includes free shipping worldwide) from my online shop or see my stockists and upcoming markets page.